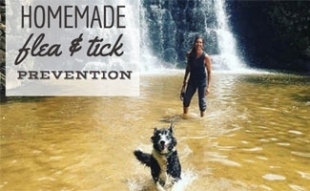 Warm weather is idealistic for pet owners to enjoy the outdoors with man’s best friend. 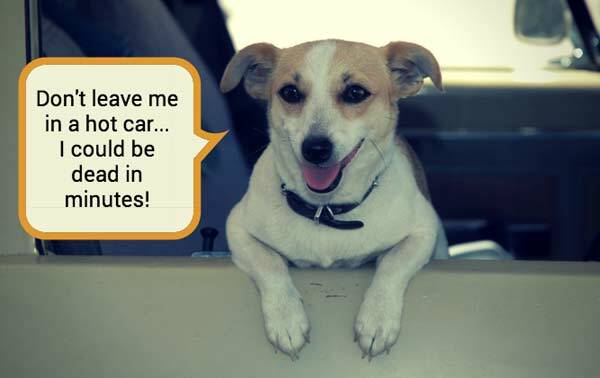 It’s tempting to take Fido with you to run errands and on family trips. But what happens when they become too hot? As the temperature rises, dog owners must be aware of the potential warning signs of dog heat stroke and how to prevent it before it’s too late. While dog’s fur serves as great protection during the winter, many dog owners may not be aware that their dog’s fur can be fatal in the heat of warmer months. Panting, can often be mistaken for excitement during a game of catch or the joy of seeing you. However, owners must be aware that this is a sign that dogs may be too hot and could potentially be suffering from a heat stroke. If a dog is sick, he or she will pant, and it could signify that they have a heart problem. Illness, allergic reaction, dehydration and poisoning are other very important signs to watch out for. They also could be suffering from pneumonia and/or respiratory problems. Vomiting or lethargy could be signs of poisoning or a severe allergic reaction. You will need to look out for this especially if your dog is on any type of medication. Dog fur is equivalent to a human coat. Imagine wearing a jacket when it’s 100 degrees outside. You might have a heat stroke yourself! We can take a layer off if we get too hot, but dogs can’t. So what do they do to help bring their temperature down and cool off? By panting, dogs are able to cool down by circulating air through their bodies. They can also reduce their body temperature by drinking or swimming in water. If you notice your dog excessively panting when it is hot, you should move your dog indoors to a cool spot immediately and provide water. If it persists, please seek the help and expertise of a trained veterinarian. If you believe that your dog is suffering from a heat stroke, you must treat it as a medical emergency and immediately seek help. Be aware of your dog’s behavior, especially in the heat, by making sure that when you see any signs of struggle you do whatever is possible to help them cool off. Give your dog water to drink and allow him to drink as much as it wants. Add just a pinch of salt to the water to help the dog replace minerals it lost due to panting. And then keep an eye on your dog to make sure it can get outside if it needs to urinate. Check out these dog water bottles designed specifically for pups with a dispenser attached. Place a cold pack on your dog’s head to help lower its body temperature. But do not leave it on for more than a few minutes at a time. 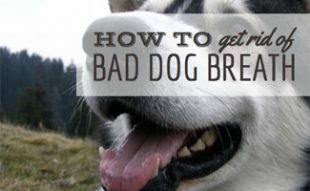 Run a cool bath for your dog; you don’t want it to be cold because it can cause shock. 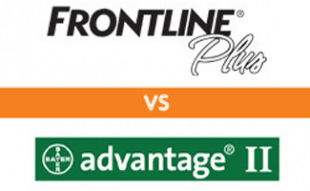 Be sure to keep your dog’s head elevated in order to prevent aspiration pneumonia. You can also use a garden hose to cool the dog down if a bath is not an option. But make sure the hose water is cool too. Not only are natural causes responsible for heat stroke in dogs, but the carelessness of owners are the direct result of dog heat stroke as well. Don’t ever leave your dog in the car while it’s hot! Leaving a dog in a hot environment is a common cause of heat stroke. If you must leave your dog in the car when it’s hot, make sure it is receiving some type of air and make it quick. If you must leave your pup in the car for any reason, we recommend getting a temperature monitor that keeps track of the temp inside your car and alerts your phone when it’s approaching dangerous conditions. The RV PetSafety monitor works without WiFi, simply put inside your vehicle or RV and it uses T-mobile or A&T’s 3G network to communicate with your Apple or Android phone when you’re away. There is a backup rechargeable battery and you can add up to five emails or phone numbers to get notified when the temp is unsafe. Remember, you are your dog’s best friend! So it is your responsibility to take care of your pet that you welcomed into your family. Your dog is depending on you to help keep them safe, so make sure that you’re able to take measures to prevent heat stroke, recognize the symptoms, and understand how to best treat your dog in the midst of a heat stroke. Looking for fun things to do with your dog in the summer? Check out this travel guide. And if your pup spends a lot of time on concrete in the heat, you might consider getting booties to protect their paws from burning. 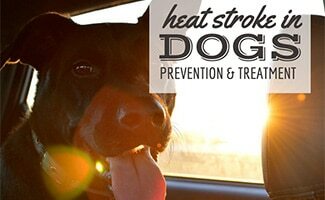 Has your dog suffered from a heat stroke before? This is a great article and something that all dog owners should take into consideration before bringing their dog out in the summer heat. Please don’t leave your dog in the car while it’s blistering hot out! Great tips! My dog foot pads are very dry and rough to touch. What can I do to soften them or should I be concern? We have very hot temperatures and I don’t know what it feels like or looks like if her foot pads get blistered? I suggest calling your vet and asking what you should do for your dog to help her if need be. When temperatures are hot, it’s best to put some boots on your dog to prevent injury. Check out these boots for your dog when it’s hot outside.